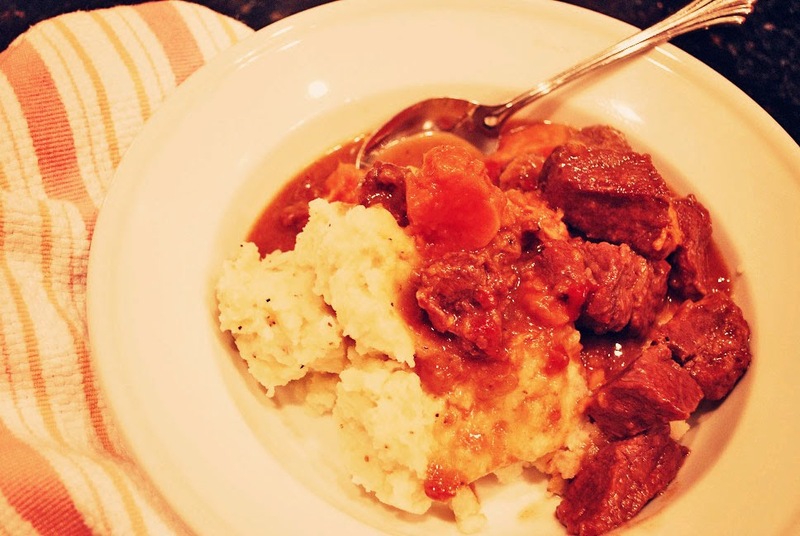 Imagine having fork-tender-from-cooking-all-day beef stew in less than an hour total! If you live in the Northeast today, I hope you are safe and warm from last night's blizzard. I am thankful that many didn't get it as bad as they predicted and I am thoughtful of those who are in the mess of it. In the Washington, DC area, we had a dusting, some ice, and basically cold, cold weather. Perfect for beef stew, amiright? This recipe is a little involved in the preparation, but it's worth it and it makes a lot of stew. So, with that in mind, let's make some stew! Preheat sautee pan over medium heat with 1-2 tablespoons of vegetable oil. While heating, dredge beef chunks in seasoned flour (amount depends on how much beef you use for the stew) and set aside. When the oil is hot enough, brown the beef chunks on each side until light brown, about 1-2 minutes per side. 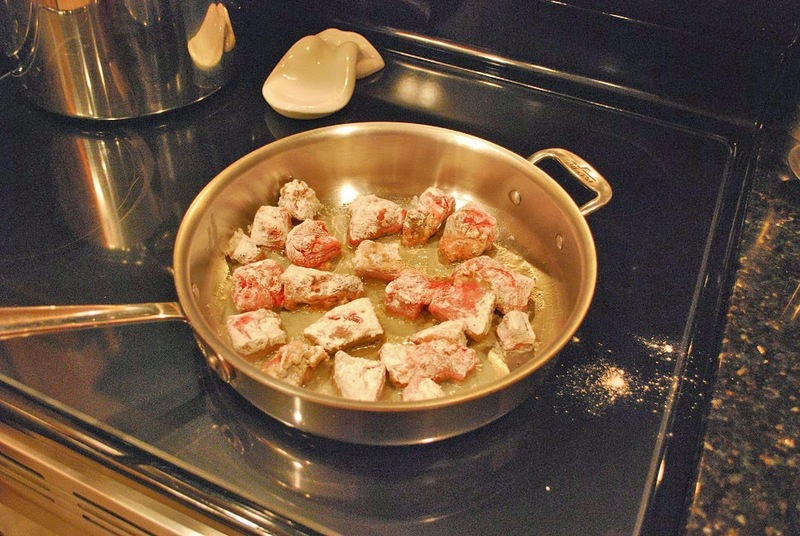 Remove beef from pan, set aside, and continue browning the rest of the beef. Add more vegetable oil for each batch if needed. When all the beef is browned, add the beef and all the remaining ingredients to your pressure cooker, lock the lid, and heat over medium high heat until the cooker comes to pressure. Once at pressure, start timing to cook for 25 minutes. 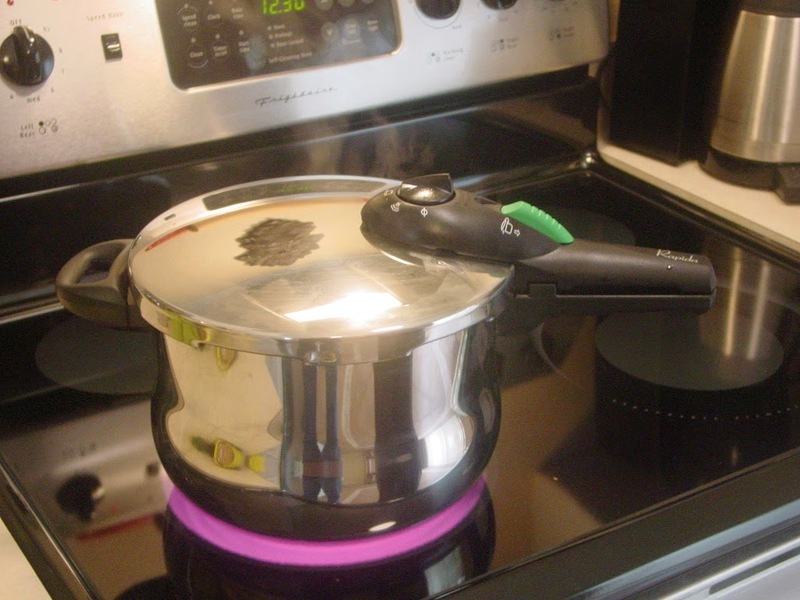 At 25 minutes, move he pressure cooker to a cool burner on your stove and let depressurize naturally for 20 minutes. After 20 minutes, release the pressure manually via the manual pressure release valve on your cooker. Season with salt and pepper to taste. If the stew needs a little thickening, place the opened cooker over medium heat and heat to a simmer. 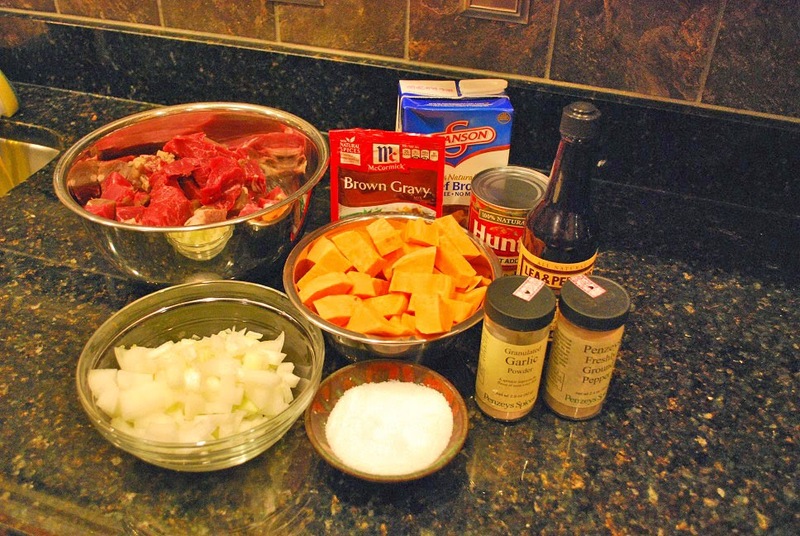 Make a slurry with a little cornstarch and stew gravy, then add to the beef stew. Stir till thickened to desired consistency. Serve over cooked rice or mashed potatoes!